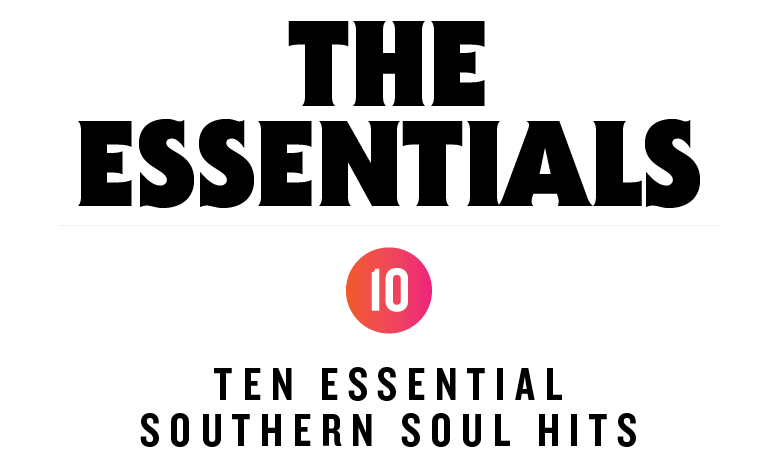 The Bitter Southerner rates the ten essential southern soul hits and the ten most sadly overlooked southern soul classics. I am the son of a preacher man. Throughout the 1960s and ’70s, my dad was the rector of All Saints Episcopal Church in downtown Atlanta, where I grew up in the civil rights era listening to Top 40 AM radio, which at the time was eclectic and democratic, playing everything from the Beatles, Beach Boys, Petula Clark, Roger Miller and Glen Campbell to James Brown, Wilson Pickett, Sam and Dave and Otis Redding. In 1968, when Dusty Springfield had a huge hit (recorded in Memphis) with “Son of a Preacher Man,” I was 13 years old, and I wondered if she was singing about me. Possibilities for the future looked favorable. But as much as the lyric titillated me, I was just as intrigued by the sound. I didn’t realize it at the time, but while my dad was preaching in support of the passage of the Civil Rights Act, I was hearing the sound of another force that was breaking through the longstanding and evil walls that divided Southerners. When the fights over racial integration of public facilities were at their height, the kids making and listening to soul music were already miles ahead of the generations that came before them. In a rundown movie theater on McLemore Avenue in Memphis, the house band at Stax Records was Booker T. & the M.G.’s, two young black musicians and two young white ones. In Muscle Shoals, a bunch of white country boys were laying down grooves behind — and writing songs for — some of the greatest soul singers ever. In Augusta, Ga., James Brown had been doing his thing since the late 1950s. But Southern soul — as a distinct musical genre — fully emerged in the early 1960s from the confluence of gospel, blues and R&B: a “gospel-based ... emotion-baring” music, in the words of music historian Peter Guralnick. The meccas of Southern soul were Memphis, where Stax Records and Hi Records churned out hits by everyone from Eddie Floyd to Al Green, and north Alabama, where FAME (Florence Alabama Music Enterprises) Studios and Muscle Shoals Sound (with their legendary Swampers house band) were producing hits from Wilson Pickett, Aretha Franklin and Clarence Carter, among many others. A host of smaller labels sprang up in Memphis to produce significant soul sides, most notably a small label founded by Quinton Claunch and Doc Russell called Goldwax. These homegrown record labels made Memphis and Muscle Shoals the apexes of the soul universe. When the hits started coming, northern record labels like Atlantic sent such artists as Franklin, Pickett and my own beloved Dusty Springfield down South to benefit from the Southern record-making magic. There was money to be made for Northerners and Southerners alike. It was a mutually beneficial business arrangement. But more importantly, Southern soul proved to be a music that no one could resist. And in its home region, despite Jim Crow laws, white and black kids began dancing to the same tunes — tunes which, even though most of the dancers didn’t know it, were played by integrated bands. The music still speaks for itself. Today, we offer for your consideration two lists of 10 songs each. The first is the list of songs that form what I’d call the canon — the sacred texts of Southern soul music. You’ll likely be familiar with some of these. But the second list might have you searching for tunes you’ve never heard. 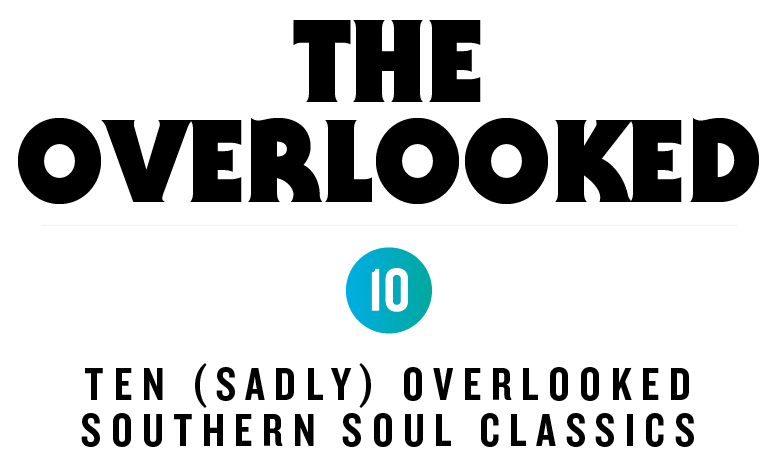 It is a list of what I think are the 10 most overlooked Southern soul songs, the ones which were worthy of the canon but were somehow neglected. Click each image below to view the list, hear the songs, and read the reasons they made the cut.